Praised as a musician of "compelling artistry and power" by the Seattle Times, the gifted American pianist Julio Elizalde is a multifaceted artist who enjoys a versatile career as soloist, chamber musician, artistic administrator, educator, and curator. He has performed in many of the major music centers throughout the United States, Europe, Asia, and Latin America to popular and critical acclaim. Since 2014, he has served as the Artistic Director of the Olympic Music Festival near Seattle, Washington. Julio Elizalde has appeared with many of the leading artists of our time. He tours internationally with world-renowned violinists Sarah Chang and Ray Chen and has performed alongside conductors Itzhak Perlman, Teddy Abrams, and Anne Manson. He has collaborated with artists such as cellist Pablo Ferrández, violinist Pamela Frank, composers Osvaldo Golijov and Stephen Hough, baritone William Sharp, and members of the Juilliard, Cleveland, Takács, Kronos, and Brentano string quartets. Julio is a founding member of the New Trio with violinist Andrew Wan, co-concertmaster of the Montréal Symphony and Patrick Jee, cellist of the New York Philharmonic. The New Trio was the winner of both the Fischoff and Coleman National Chamber Music Competitions and is the recipient of the Harvard Musical Association's prestigious Arthur W. Foote Prize. As part of the New Trio, Julio has performed for leading American politicians such as President Bill Clinton, Secretaries of State Condoleezza Rice and Henry Kissinger, and the late Massachusetts Senator Ted Kennedy. He was a featured performer on the soundtrack of the 2013 film Jimmy P, composed by Academy Award-winner Howard Shore. Julio is a passionately active educator. In 2013, he served as a visiting professor of piano at the University of Puget Sound in Tacoma, Washington and has given piano and chamber music masterclasses throughout the United States at major conservatories and universities. He has also appeared at various summer music festivals including Yellow Barn, Taos, Caramoor, Bowdoin, Kneisel Hall, and the Music Academy of the West. 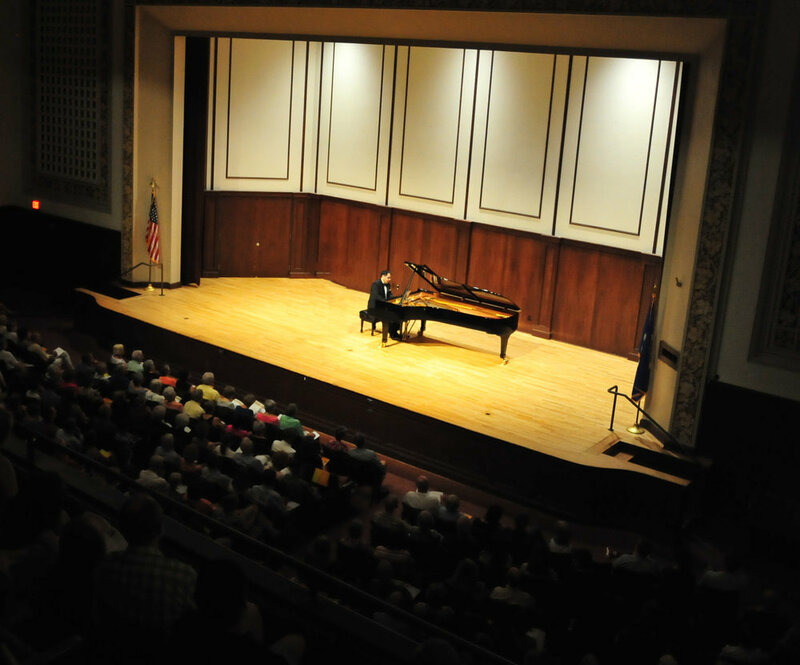 In 2012, Julio was the youngest juror ever selected at the Fischoff National Chamber Music Competition held at the University of Notre Dame in South Bend, Indiana.